Take a look at some of the newsworthy items for the VIP program. Making the transition from an active-duty military service member back to civilian life can be challenging for some members of the armed forces, especially when it comes to searching for a job. For members of the United Association Veterans in Piping program, the challenge is learning a new skillset in 18 weeks that will be used at a guaranteed job in the piping industry after transitioning out of the military. The UA VIP program is a free 18-week accelerated career skills training program designed to provide participants a direct pathway to a career in the piping industry. Travis Council, a fifth-year apprentice and UA VIP Program graduate, heard about how the Veterans in Piping program helps ease the stress as service members exit the military. 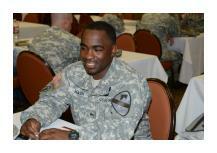 Sergeant Council decided he wanted to join the Fort Hood UA VIP Program and prepare for a career once he transitioned out of the service and back into civilian life. 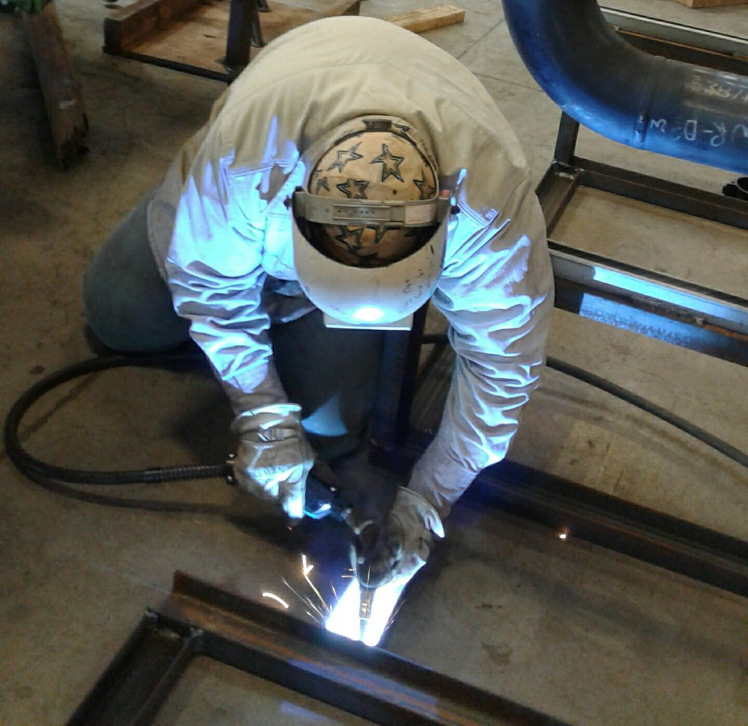 During his time in the UA VIP program, he learned how to weld and improved his math skills, which plays a big role in his new trade. Following his successful transition out of the military, Council became an UA apprentice, which ultimately allowed him to go back to college to become a virtual designer. He is currently a member of UA Local 142 in San Antonio and is set to top out this year as a journeyman. Currently, Council works for Brandt Companies doing virtual design. Council is one of the many UA VIP graduates who have successfully transitioned out of the military and into a rewarding career thanks to the free career skills training provided by the UA VIP program. To learn more about the UA VIP program and participating bases, visit here. We’re sure you have lots of questions about the VIP Program. A lot of these questions can be answered in our FAQ area. Click the button below to learn more. Take a look at everything the VIP program is doing for our returning veterans — through videos and photos. 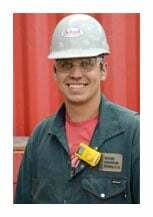 Pipefitters Local 455, St. Paul, MN, Apprentice David Adams (VIP graduate, Wisconsin Welding Class 2) is pictured on the job working for Pioneer Piping, Incorporated (PPI) at the Flint Hills Refinery in MN. 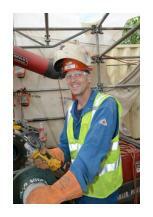 Camp Pendleton VIP Graduate turned out as Journeyman and makes a life in Butte, MT, with Local 41. Orry graduated on April 9, 2015 and affiliated with UA Local 455, St. Paul, MN. 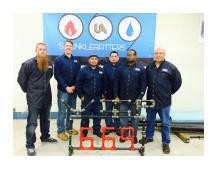 Fort Sill's inaugural Sprinkler Fitter class began on 2 March 2015. 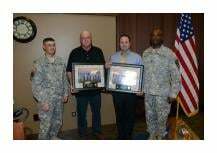 SFC Michael Olsen and 1SG William Davidson presented their instructors Louis Purcella and Micah Tyler with a momentum from the class. 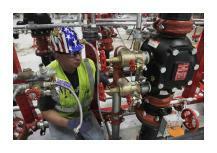 SGT Howard Nash is headed to Harrisburg, PA, to affiliate with Plumbers and Pipefitters Local 520. 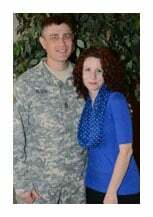 Gail Pilecki was so proud of her son, SGT Jeremy Pilecki, on graduation day. 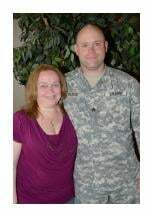 SGT Pilecki will make his home in Houston, affiliating with Pipefitters Local 211. 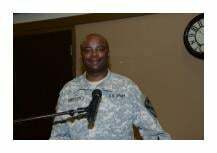 1SG William Davidson gave the graduate testimonial. He will remain with his family in Waco, TX, affiliating with Plumbers and Pipefitters Local 529 in Waco, TX. SFC Michael Olsen and his wife, Amanda, will remain in the area, affiliating with Plumbers and Pipefitters Local 529 in Waco, TX. Alysa and SPC Chad Eberle will be heading to San Antonio, TX, with Plumbers and Pipefitters Local 142. SGT Lawrence Beller, his wife, Brittney, and daughter, Nahla, will be making Houston, TX, their home, affiliating with Pipefitters Local 211. Mouse over thumbnails to view larger videos and photos or view entire Gallery. The United Association of Journeymen and Apprentices of the Plumbing and Pipe Fitting Industry of the United States and Canada.